I first met Nordés Atlantic Galician Gin a few years ago. I was dashing through an airport returning from a stay in this unique region of Spain. No, it wasn’t a purchase made after lingering research, but it turned out to be a wonderful choice. It was several weeks before I even opened the bottle, and then I was converted. 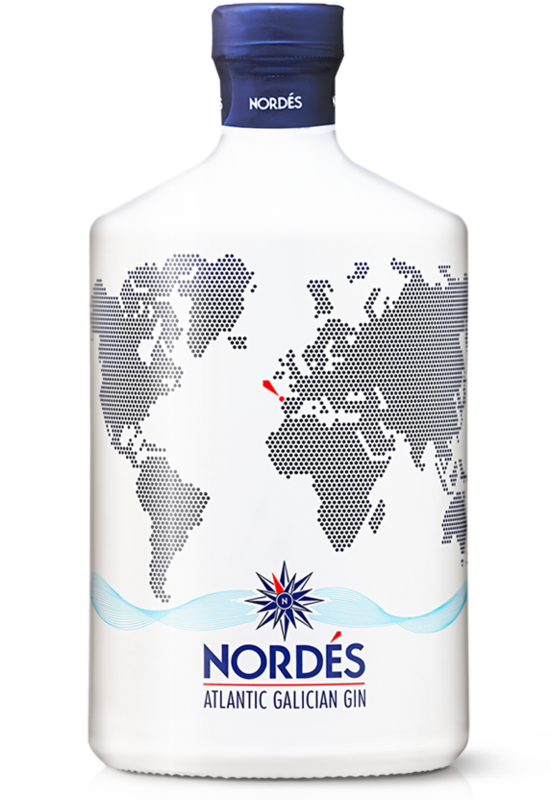 The striking Nordés gin white bottle was inspired by the traditional ceramics of Sargadelos. It is produced in Galicia by artisans and sports a map of the world giving a nod to the seafaring history of Galicia. Its contemporary and confident design promises something a little different within. Nordés gin is made in a small distillery in San Pedro de Sarandón, near Santiago de Compostela. This is an area of natural beauty, and now evidently known for its gin botanicals. This is a premium gin that uses 11 high-quality natural botanicals. The spirit base is produced using the celebrated. Nordés Atlantic Galician Gin is perhaps one of the most characterful gins on the UK market. The aroma is enticing and complex. One might even call it feminine (can one say that these days?) with all that blossom! Sure, you could use this in exotic cocktails but it would be a shame to adulterate this well-crafted spirit with still more ingredients. Try this with just a dash of hibiscus syrup. It’s perfect served over ice, or as a G&T. This is a winner of a contemporary gin, and memorable. Palate: roses, violets, menthol, red berries.